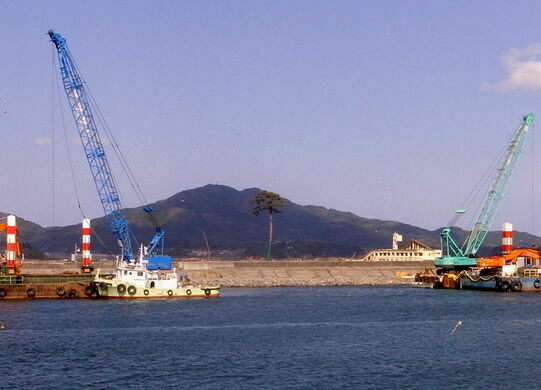 Of the 70,000 trees that once lined the shore of Rikuzentakata, Japan, only one remained after the 2011 tsunami. 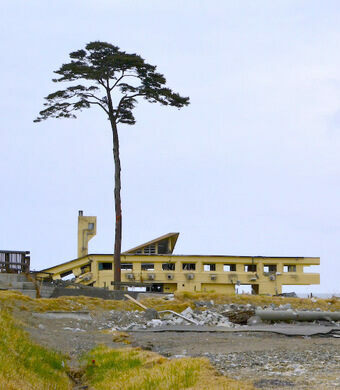 The tree quickly became an icon of hope in the devastation, where about 80% of the homes in Rikuzentakata were lost in the waters. Unfortunately, although the nearly 90-foot-tall, 200-year-old tree lived through the floods, it couldn’t survive the resulting saline content in its earth, and 18 months later it died. 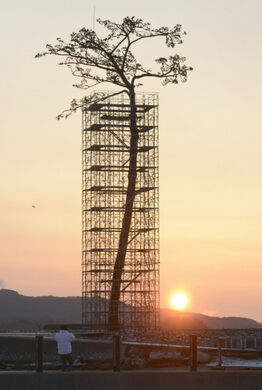 However, a sculpture erected in 2013 returned the tree permanently to the shore, with its trunk coated and formed over a metal mold and its leaves and branches synthetically remade.